Treat the family to a unique holiday experience that is truly out of this world.....Space Camp! Located in the world's largest space museum, the U.S Space and Rocket Centre in Huntsville, Alabama, is the official Visitor Centre for NASA's Marshall Space Flight Centre boasts the largest collection of rockets and space memorabilia in the world. Part of the Smithsonian Institution, the centre was founded in 1982 as an educational camp programme to promote science to children. It has become an aerospace experience the entire family will enjoy. 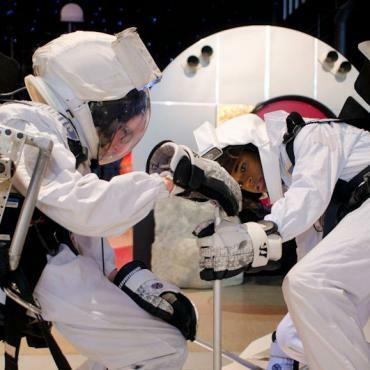 You'll be guided through simulated astronaut training using equipment adapted from NASA's astronaut programme and take part in mission training and operations, rocket construction, as well as, learning the history of space from actual rocket scientists. A wide range of activities and science presentations are included throughout the three day camp and are suitable for kids aged 7 to 17. All meals are served in the Space Camp Crew Gallery, so you can mix and mingle with fellow trainee astronauts and Space Camp guides. Family living quarters consists of comfortable dormitory style accommodation or a family room at the Huntsville Marriott on site. Please note, the three day Family Space Camp programme runs every Friday - Sunday from March to August annually. Adult only/child only camps are also available. Prices are based on two adults/two children sharing family dormitory accommodation. 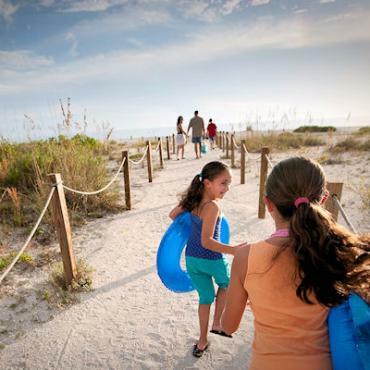 The following itinerary is our suggested 12-night holiday combining the Space Camp experience with some of Alabama's and Florida's beautiful beaches. All Bon Voyage holidays are completely tailor-made, so don't hesitate to contact us with your family's holiday requirements, we'd love to create the perfect holiday for your crew. Your family adventure kicks off in The Peach State of Georgia in the heart of Gone With The Wind country. 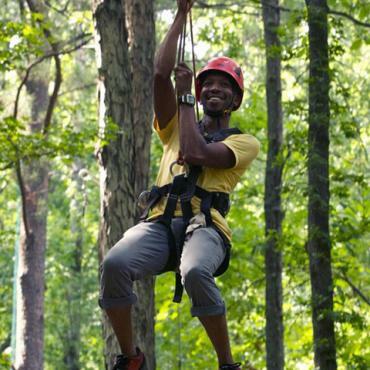 In the city of Atlanta, experience true southern charm with a modern twist. 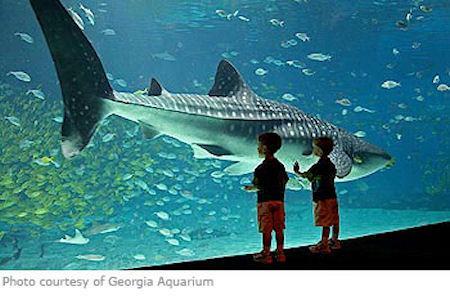 All the family are sure to enjoy the Georgia Aquarium, the largest in the world. Ask us about the 'Sleep Under the Sea' option. 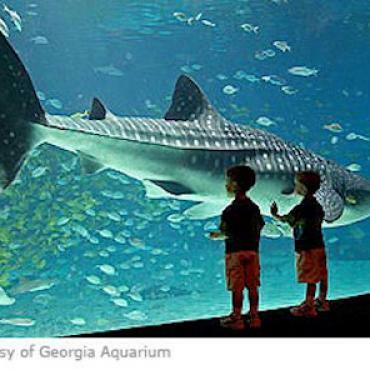 All sleepovers include admission to the aquarium on the day of your sleepover and the following day, entrance to all presentations, dinner, breakfast, guided tours and activities and a sleeping spot in front of magnificent gallery windows. There is also the quirky World of Coca-Cola. At this family-friendly, hands-on museum you'll get to visit the secret Coca-Cola vault, meet the Coca-Cola polar bear and take part in tasting sessions. Also in Atlanta, the world headquarters of CNN offers a 55 minute guided behind-the-scenes tour, see the latest news as it's broadcast live throughout the world. The family might also enjoy a day at the Legoland Discovery Centre with 4D theatre, Lego rides and play centre. Check in at the U.S Space and Rocket Center for your two night/three day Family Space Camp adventure. Meet your fellow trainee astronauts from all over the globe before your action packed programme launches. Over the next couple of days your family will have the opportunity to command, navigate and contribute to a space mission simulation. Working as a team, your family will construct a rocket and experience walking on the moon in the 1/6th gravity chair. You'll all have fun using the the astronaut simulators such as the Multi-Axis Trainer, the Five Degrees of Freedom Chair and the Manned Maneuvering Unit. Housed within one of the world's largest spacecraft collections, you'll be guided by space crew trainers through the past, present and future of space exploration in fascinating hands-on science presentations that will fascinate all ages. You'll also get to experience an astronauts view of earth at the state-of-the-art IMAX Spacedome Theatre and hunt for galatic treasures in theMuseum Scavenger Hunt. Space Camp finishes with a formal astronaut graduation ceremony. Have the camera ready as the family is presented with astronaut training certificates and commemorative wings pins. Activities run Friday from 1.30pm to 9 pm. Saturday from 8.30am to 9 pm. Sunday from 8am to 11am. For more space camp information, including a complete list of activities, click here to email your contact details. It's time to travel through the rolling Alabama countryside to Birmingham. The Birmingham Civil Rights Institute and the Alabama Jazz Hall of Fame are two places worth a visit. 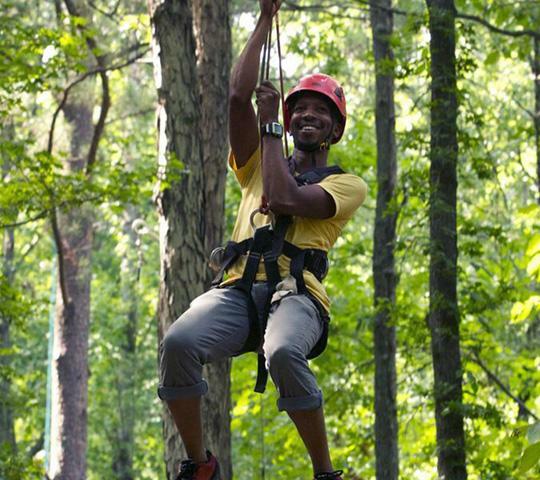 The whole family will appreicate the Aerial Zipline Adventure Park , along with the water rides at the Alabama Splash Adventure Park. If you're longing for another dose of science, check out The McWane Science Centre, housed over four floors with plenty of hands-on interactive fun. It's off to the coast today. Worth a stop along the way is sleepy Monroeville, the Literary Capital of Alabama. One of the world's best loved novels To Kill a Mockingbird is set in this charming town, where Pullitzer Prize winning author Harper Lee grew up. 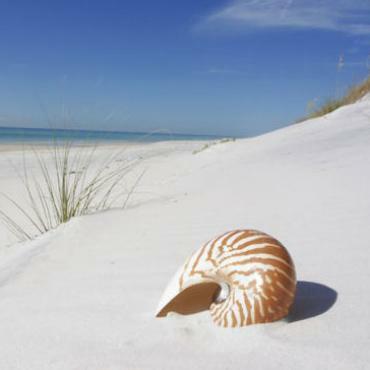 Now it's all about relaxing on the beautiful white-sand beaches of Gulf Shores and Orange Beach. 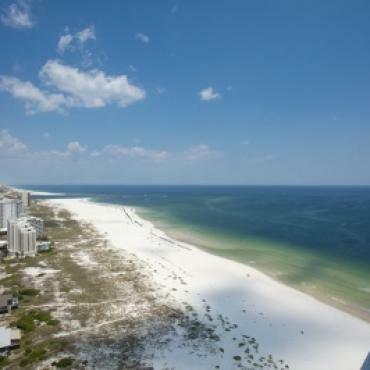 Enjoy 32 miles of pristine sand and crystal clear waters along Alabama's southern border with the Gulf of Mexico. Also worth visiting in the area is Dauphine Island, historic Mobile and one of the prettiest towns in the USA, Fairhope. Continue along the sunny southern coast of the USA through an area known as Flora-Bama, where Alabama and Florida merge. It's a beautiful drive fringed with uncrowded. almost hidden coves and beaches. 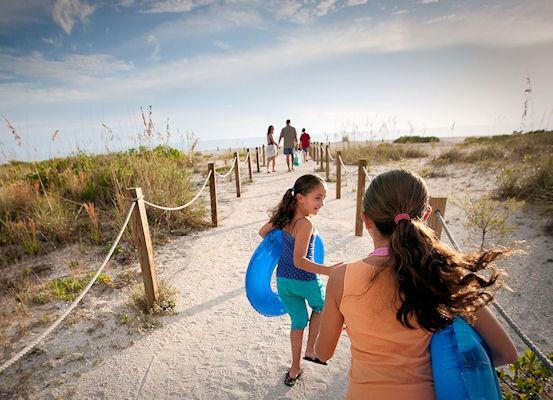 Your final stay is the waterfront city of Pensacola - winner of numerous Florida beach awards. Try your hand at fishing from the pier or check out the spectacular shows and educational exhibits at the Gulfarium Marine Adventure Park. Nearby is the National Naval Aviation Museum, which is not only is one of the most visited museums in the state of Florida, it also offers free admission. 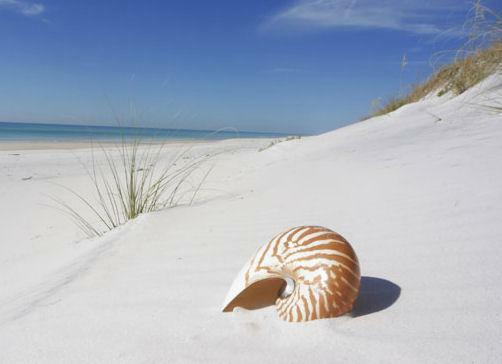 For truly untouched beaches and total peace and quiet, head for the Gulf Islands National Seashore. Here you'll discover blindingly white sands, an abundant ecosystem and wildlife viewing. It's a short drive by car, but can easily be explored by bike. Time it right and you'll be the only ones there, just imagine, your own deserted island! 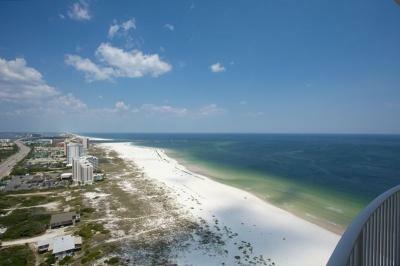 Continue along the Emerald Coast for your return flight back to the UK from Fort Walton Airport. Want to extend your family adventure? Perhaps time in Disney or Universal Studios or a short cruise around the Islands of The Bahamas? Call Bon Voyage to discuss your ideal Alabama/Florida tailor-made holiday.